Read the adventures of Cobweb the fairy! 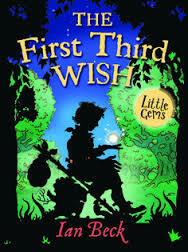 Cobweb the fairy has just qualified, but she’s already in trouble – she’s lost a wish! Soon there’s fairy magic all over the kingdom and it’s causing mayhem! Cobweb has to try and put things right, but the magic has changed Dickon and Princess Isabella’s lives – can they still get their happy-ever-afters? A fairytale with a twist!